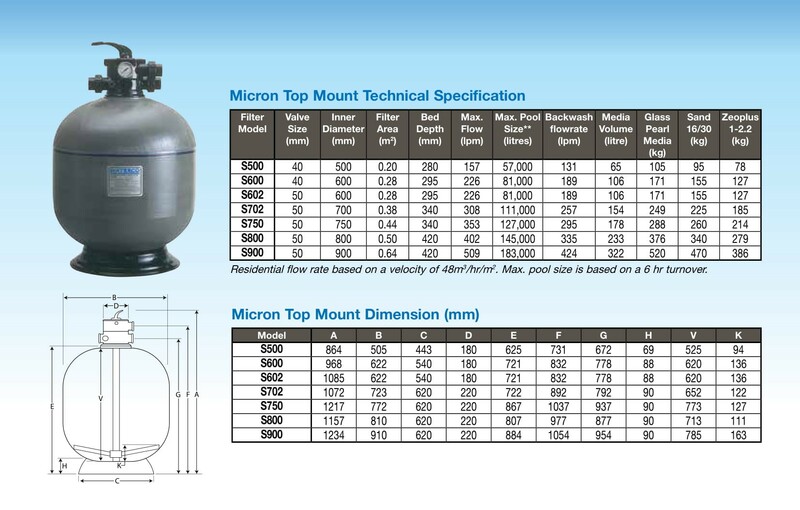 Micron fibreglass filters embody the latest in fibreglass winding technology. 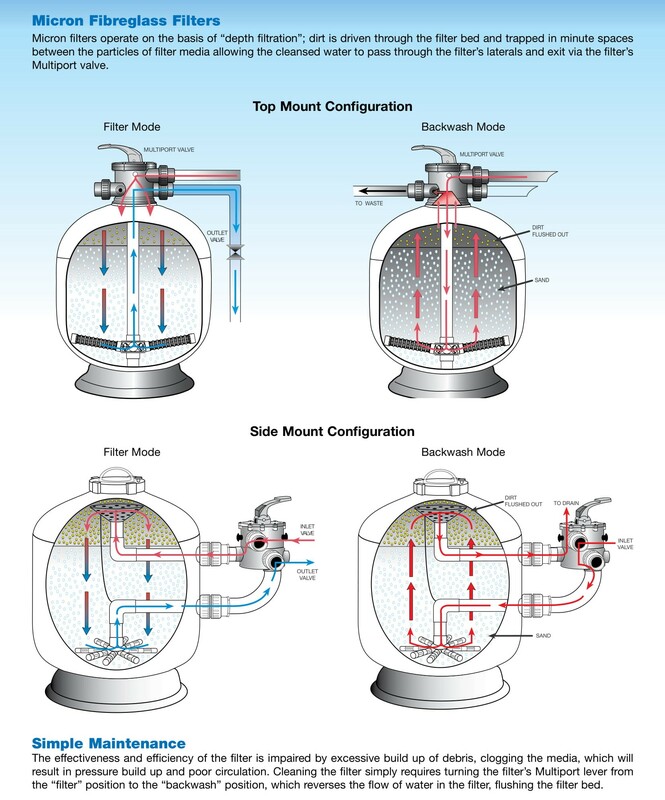 Micron fibreglass vessels consist of an inner shell of fiberglass reinforced polyester resin wound over with fibreglass filament. Waterco’s digitally controlled filament winding machine faultlessly winds continuous strands of high quality fibreglass filament under controlled tension filament to create a seamless one-piece vessel with refined consistency and superior quality. 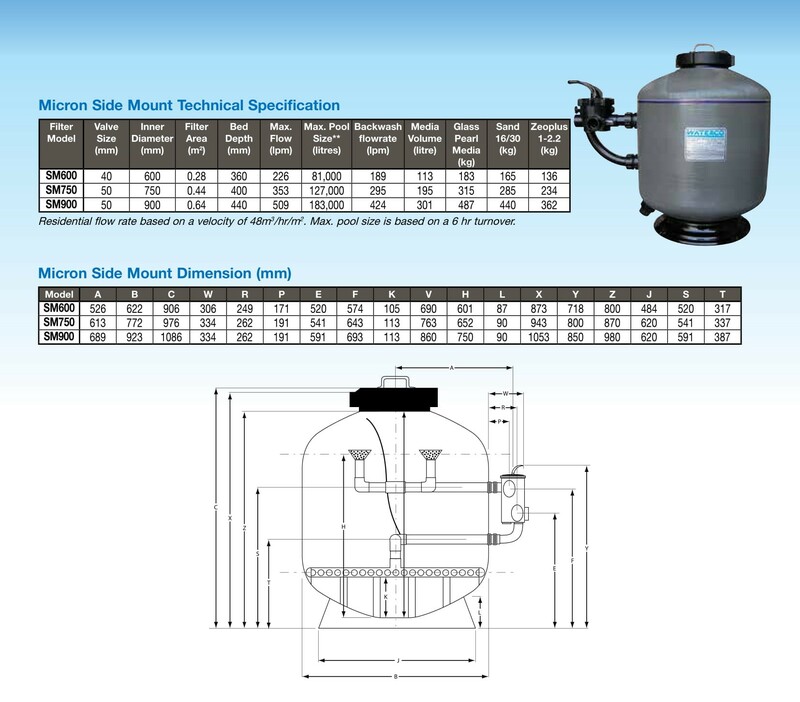 There are no welds or seams or special tank linings which can corrode or electrolyse. 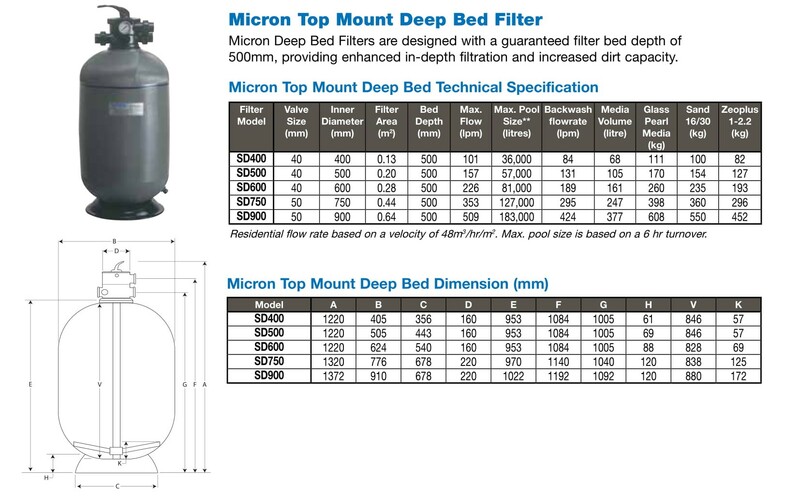 Micron filters operate on the basis of “depth filtration”; dirt is driven through the filter bed and trapped in minute spaces between the particles of filter media allowing the cleansed water to pass through the filter’s laterals and exit via the filter’s Multiport valve. • Extra reinforcement to increase the working pressure rating to 400 kPa (58 psi) is available on request.